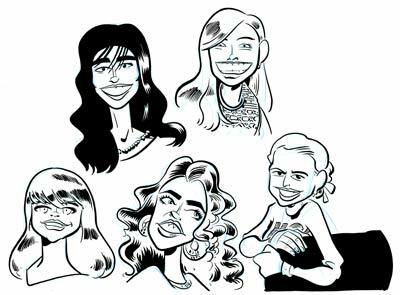 I get told that I don't draw enough girls, so I used my high school freshman yearbook to grab some faces. Click the image for a full-sized version. Now, were these the girls you dated or the girls you WANTED to date, Chris? With the exception of the one in the upper right corner, whose sister I was friends with, I do not remember any of them.